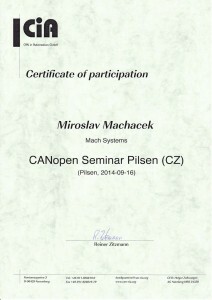 CANopen Seminar - MACH SYSTEMS s.r.o. 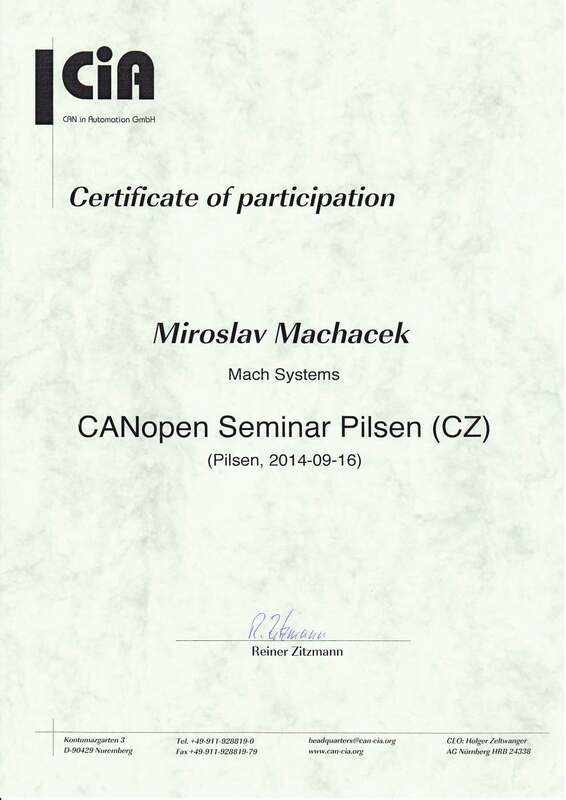 We took part in CANopen seminar on 16th September 2014 in Pilsner. The seminar was organized by CAN in Automation (CiA), and it consisted of training and discussion on CANopen higher-layer protocol – architecture, layers, protocols, profiles, network management, configuration and system design.